EXCLUSIVE / Euronews is under scrutiny for its deal with the Republic of Congo’s national broadcaster to launch a pan-African channel, after the country’s authoritarian president cracked down on his political opponents. Denis Sassou Nguesso, 72, yesterday (20 October) banned demonstrations in the capital Brazzaville, after opposition politicians called for protests against his bid to extend his 30-year stay in power. Mobile communications were cut off, and so were broadcasts by France’s world service RFI, ahead of a referendum Sunday (25 October) to allow the former Marxist soldier to run for another term in office. Congo has a maximum of two seven-year terms and an age limit of 70 for its presidential candidates. Nguesso was elected in 1997, after a brief and bloody civil war. He previously ran the country from 1979 to 1992. A heavy police and paramilitary presence was witnessed in areas seen as opposition strongholds. On Tuesday, AFP reported that shots were fired in the air to disperse youths who had set fire to tyres in the city’s southern districts. The crackdown before the vote, branded a “constitutional coup d’etat”, will come as an embarrassment to Euronews, which is based in Lyon, France. In January 2014, Euronews announced a partnership with public broadcaster Télé Congo “under the auspices of the President of the Republic of the Congo, Mr. Denis Sassou Nguesso” to create Africanews. The new channel is to be based in Brazzavile, with regional offices across Africa. It will broadcast in French and English. The “100% subsidiary of Euronews” is due to start broadcasting in December this year. Africanews will be bound by the same charter that guarantees editorial independence as its sister channel. She added, “The charter is based on the fundamental principles of freedom of expression and communication and editorial independence limited only by respect for the facts. “The shared charter stipulates, among other things: ‘Program content must be produced without pressure from any national or international institution, government, political party or political or economic pressure group. Euronews has faced questions over its funding in the past. It has received €240 million from the EU since its launch in 1992. It was conceived as an EU answer to CNN. A third of the network’s budget, €25.5 million, came from Brussels last year. The channel has been attacked by critics who argue the EU taxpayer should not foot the bill for its reports from a “European perspective”. The European Commission also pays for Euronews’ Arabic news service, a fact that has also drawn the ire of many Eurosceptics. MEPs recently raised fears that the arrival of Egyptian tycoon Naguib Sawaris as controlling shareholder could compromise Euronews’ editorial independence. Those concerns were rebuffed by Euronews, which fiercely defends its track record on impartiality. The Commission is also on the record defending the channel’s editorial independence. Africanews will be based on a model financed by advertising, the 2014 release said, it will then be able to develop by adding new public and private partners. The two channels will share content to round out the programmes they broadcast around the world. 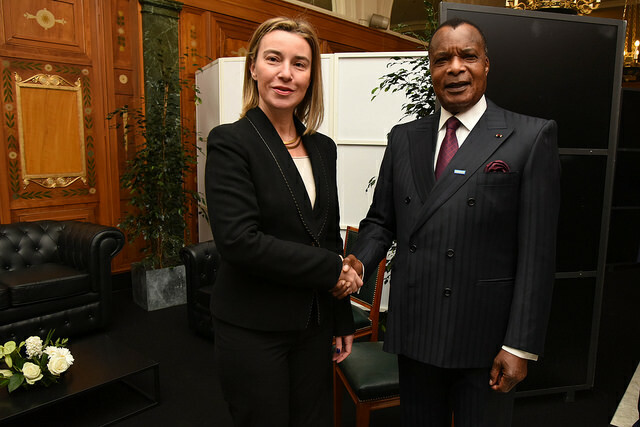 Anneke Van Woudenberg, deputy Africa director at Human Rights Watch, said, ""People have the right to peacefully protest and speak out against constitutional changes that would extend President Sassou Nguesso’s term in office without being shot at or beaten up. Government attempts to stop peaceful demonstrations, to block social media and interrupt independent radio broadcasts violate freedom of speech and assembly. "If President Sassou Nguesso’s government wants to win the arguments about the proposed constitutional changes, they should do it through free debate and credible voting, not brutal repression."